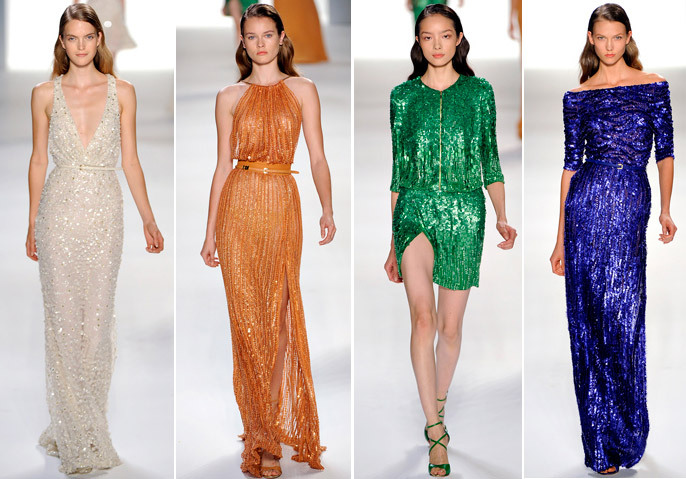 A fresh fashion optimism swept the Spring / Summer runways with shimmering sequins brightening up any gloomy day. Sequins and beads add luscious texture and movement to beautiful bejewelled gowns. But don’t save these twinkling stars just for evening. During the shows girls were venturing out in shining sequins from head to toe, accompanied by countless bangles and trinkets. When it comes to sparkle this Summer think: the more the merrier. 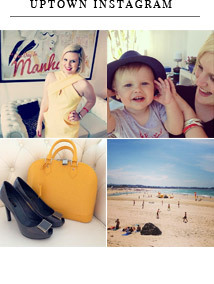 Fashion should be fun, beautiful and inspiring. This pure bejewelled optimism is set to enliven every wardrobe with pretty sparkle. At Elie Saab, languid silhouettes were embellished with rippling sequins for exquisite results. At Dolce and Gabbana the collection came to a close with the duo’s signature lace cocktail dresses, but this season they were encrusted to the hilt in colourful crystals. Pretty patterns and a rainbow of colours, created mesmerising show stopping gowns of twinkling beauty. While at Marc Jacobs a pretty bejewelled coat had unmistakable charm and a sweet glamorous appeal. Sublime when paired with minimal, clean-cut pieces, metallics add a gorgeous gloss to your look. 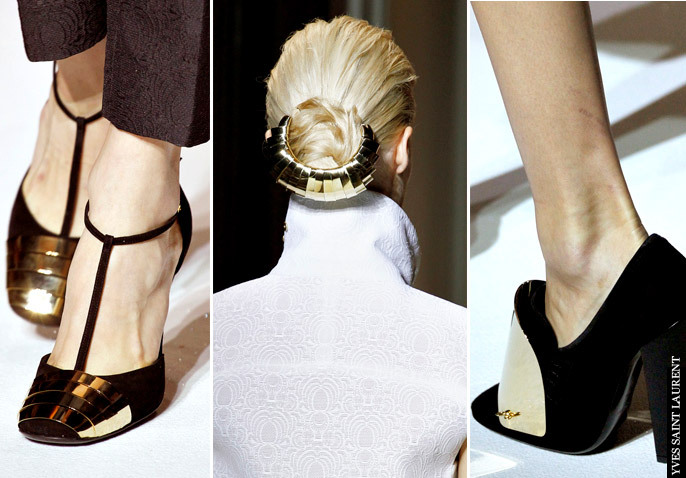 Across the Spring / Summer 2012 runways, designers dipped their pieces in glistening gold and silver adding a rich texture and shining optimism. Metallic accessories pack a punch. 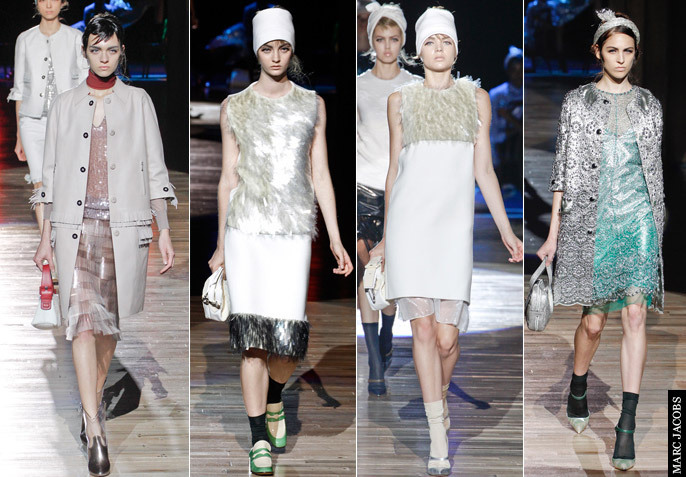 Wear with a crisp white shirt dress (a la Gianfranco Ferré); soft neutrals; or bold brights for startling panache. 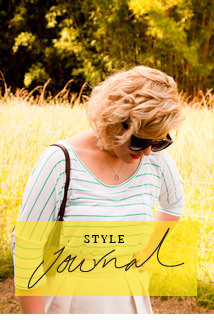 Metallics are the perfect exclamation point in your look. At Gianfranco Ferré metallic handbags and belts were daring against clean white; while at Yves Saint Laurent metallic detailing screamed of opulent allure. Head-to-toe shine stopped traffic at Hakaan and Gucci. Metallics added dazzling beauty and a modern edge to cocktail dresses and evening gowns. Pieces shimmered in ‘Mermaid-esque’ sequins for decedent dressing. At Gucci art deco inspired embellishment was polished, glossy and chic; while at Hakaan the classic white tee brought a fresh simplicity to a sequined pencil skirt. Are you a Glitter Bug? Bring some glistening light into your wardrobe with sparkling sequins. 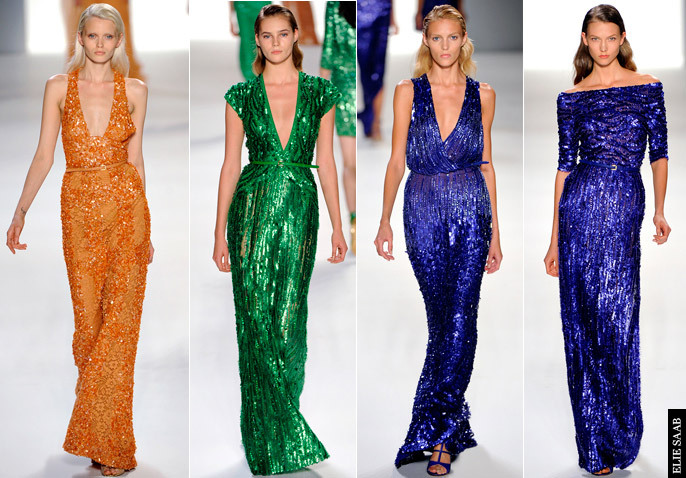 Like shimmering iridescent mermaids or twinkling disco dancers, sequins add an unmistakable sparkle to your style. Seen on the Spring / Summer runways of Elie Saab, Christopher Kane, Givenchy, and more; this is a classic embellishment too pretty to sprinkle. Embrace these delicate metallic plates from head-to-toe. From this season’s must-have accessory – Miu Miu’s glittery heels (pictured top) to Elie Saab’s glamorously chic bejewelled evening gowns (pictured above); sequins are a timeless feel-go fashion favourite. 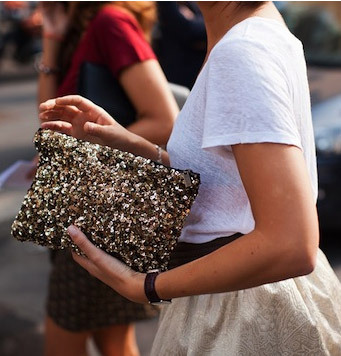 And sequins needn’t only come out at night. Case in point: Anna Dello Russo’s extraordinary emerald green Dolce and Gabbana Dress (pictured top).